Preheat oven to 180 degree celcius. Line baking tray with aluminium foil or baking paper. In a bowl, add desiccated coconut, plain flour, baking powder and powdered sugar and mix well. Add condensed milk to this and mix well. Add milk, if needed..
Drop tablespoonfuls of cookie batter onto the prepared baking tray, about 2 inches apart. 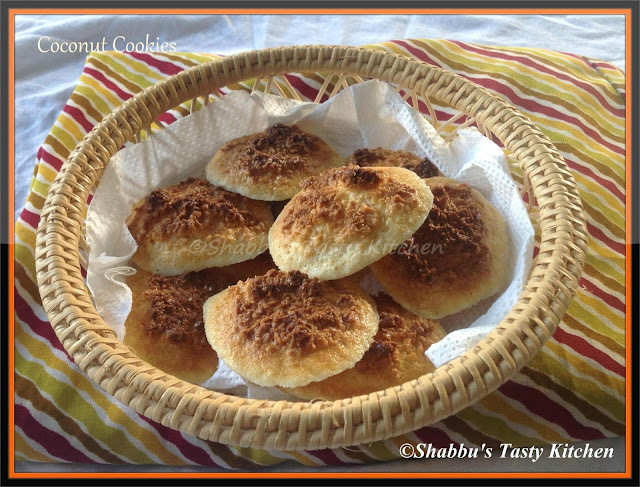 it reminds me of kerala bakery:)perfectly made..
Coconut cookies looks scrumptious and wonderful.